The United Nations defines sustainable development on similar terms. It is understood that sustainable development is development that meets social and economic goals without the depletion of resources, by protecting the environment, and by ensuring health and human welfare. The U.S. Green Building Council (USGBC) is a non-profit organization committed to expanding sustainable building practices. LEED (Leadership in Energy and Environmental Design) is a voluntary, consensus-based national rating system for developing high-performance, sustainable buildings. Developed by USGBC, LEED addresses all building types and emphasizes state-of-the-art strategies for sustainable site development, water savings, energy efficiency, materials and resources selection, and indoor environmental quality. LEED is a practical rating tool for green building design and construction that provides immediate and measurable results for building owners and occupants. 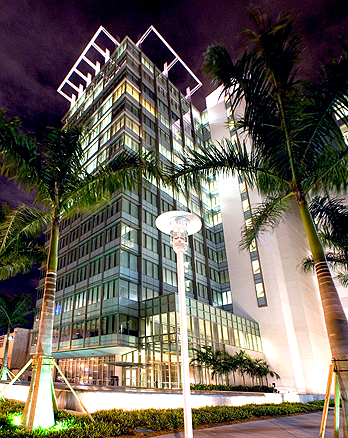 © Copyright 2010 City of Miami Planning and Zoning Department All rights reserved.